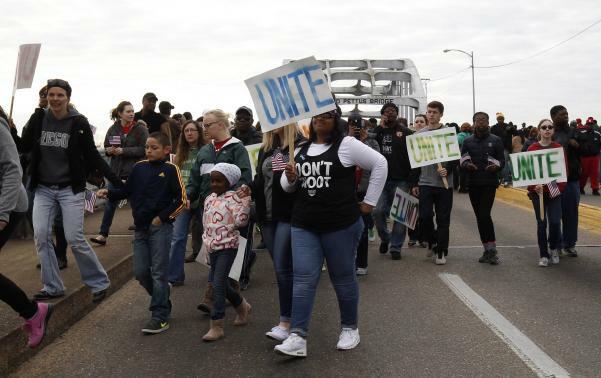 Last week began with an estimated 70,000 people gathered at the Edmund Pettus Bridge in Selma to commemorate the 50th anniversary of “Bloody Sunday,” a reminder of the violence that black people and their supporters met even as they adhered to nonviolent resistance. President Obama’s speech at the event was clear and inspiring, a call to meet the many challenges we still face today. The past week brought additional reminders of the divisions and challenges that hate continues to cause in this country, as well as the actions and hope emerging from people in the Not In Our Town (NIOT) network who are standing up for change. Here are some highlights of NIOT’s work in just the past week, as we take up that call. Stay tuned for more stories from the Not In Our Town network throughout the week. In an ugly and disturbing exhibition of 21st century racism, a video surfaced showing fraternity brothers at the University of Oklahoma singing violent, racist chants. The response from the university was decisive. 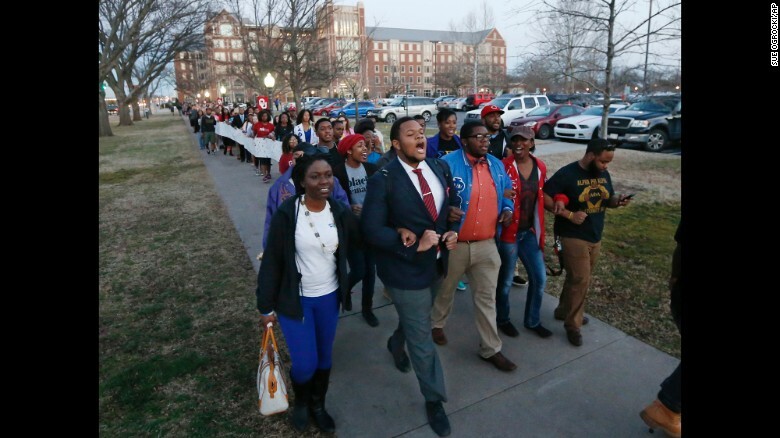 The students were expelled, the fraternity lost its charter, and OU President David Boren made a clear appeal to all in the university community to call out and deal with racism. As OU was drawing attention to racism on campus, students and faculty members gathered at San Diego State University for a Not On Our Campus workshop featuring A Bowling Green Legacy, the story of the Bowling Green joint campus/community Not In Our Town campaign. Also screened at the event was the short film, Ole Miss: Facing the Change, a story featured in our PBS program Class Actions about the University of Mississippi’s proactive response to racist chants and the KKK. 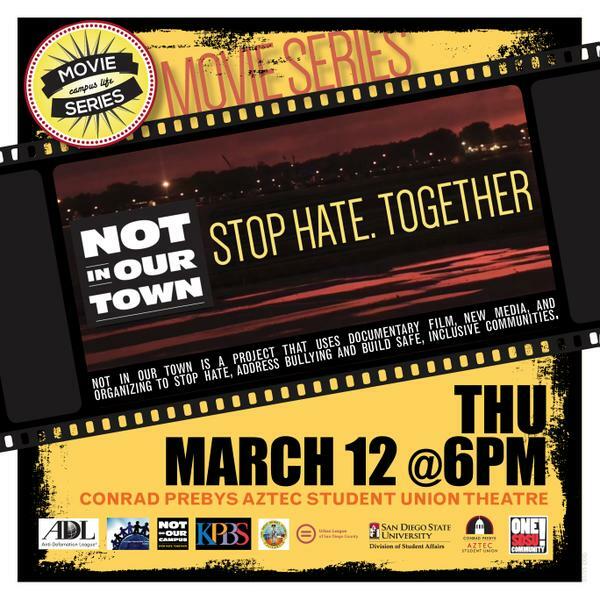 The March 12 student-led event was the third in a series there featuring NIOT films from our Department of Justice/COPS Office Safe, Inclusive Communities Initiative. As always, we are inspired and energized by all of the people in NIOT’s network who are carrying the movement forward. We’ll keep you updated on Not on Our Campus Activities in the coming weeks. And please follow us on Facebook, Twitter and NIOT.org.